What is membership? 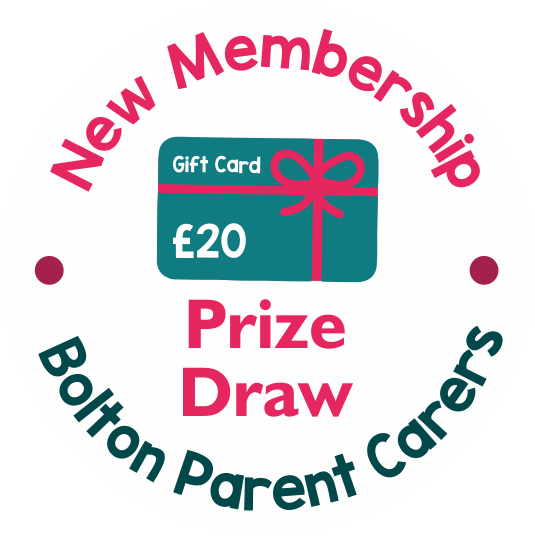 It’s simply joining us and letting us know that you are a parent or carer from Bolton. We send out a 1/2 termly newsletter to our members, this highlights any key activities and lets you know about any upcoming opportunities. We do share on social media too, but our newsletter gives a round-up an ensures you don’t miss anything. When we represent parents and carers there’s power in numbers. Increasing our membership numbers supports us to grow. To obtain funding it helps if we can show our numbers. We promise you that we won’t bombard you with unnecessary information. We will protect your data and only use it when absolutely necessary. When you join we will send you a small welcome pack in the mail, simply click below to complete the form….. When you register with us, we’ll pop you in our New Members monthly prize draw – where you could win a £20 Gift Card!